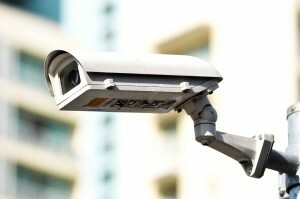 More and more businesses are using CCTV to deter or detect crime within their businesses. The equipment is getting less expensive and easier to use and can now be viewed remotely from iPads or smartphones. A basic setup can be purchased for less than £300 and installed by any competent DIYer. However, before you rush out and buy your new CCTV system you should be aware that it will need to be registered at the Information Commissioners Office (ICO) and that your data controller will need to take responsibility for the images that are recorded. Recording pictures on CCTV falls under the Data Protection regulations so anyone who believes that they have been recorded can issue a Subject Data Access Request and expect to get a reply within 40 days – you can charge the normal £10 for providing the images. It is important that you do not keep any recordings for longer than you need them for the purpose which the CCTV was installed and registered for. You must also let people know that they are being recorded or watched on CCTV so you need to have prominent notices advising people that they are on camera. You should also have something in your staff handbook to let the staff know that there are camera and the reason for them. Quite often the reason given is “staff protection'” as the use of CCTV may deter any violence on your premises. It is important that you have a comprehensive CCTV policy and procedure so that everyone is aware of the correct way to deal with any issues. The policy should include information on who is allowed to look at recordings, how long they are kept and the reason why they are made in the first place. Premier Legal’s employment law experts can provide you with a CCTV policy if you need one and this would be free of charge for anyone who is a member of our Employment Protection Scheme. Call us on 0115 988 6211 for more information. More information about the use of CCTV can be found at the ICO website by clicking here.